The wedding season in Pakistan never gets off, and the desi bhangra’s on the desi beats never stop. One of the greatest perk living in the eastern society is to live through all of its beautiful custom and traditions. 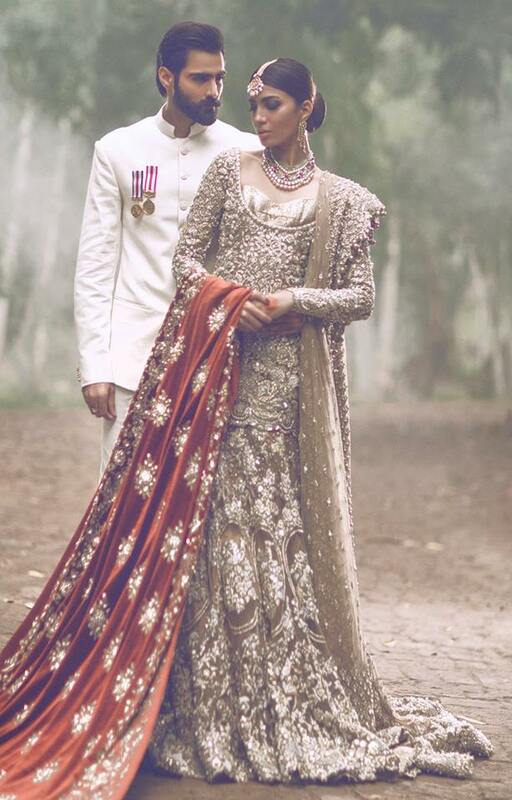 And these customs mark the wedding day as one of the most memorable events of one’s life. 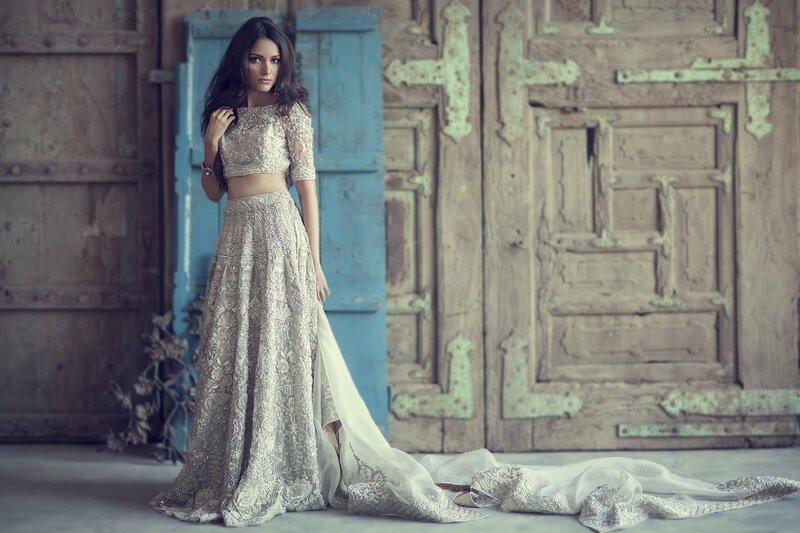 Every girl aims to get the best of bridal dresses to carry on her big day. 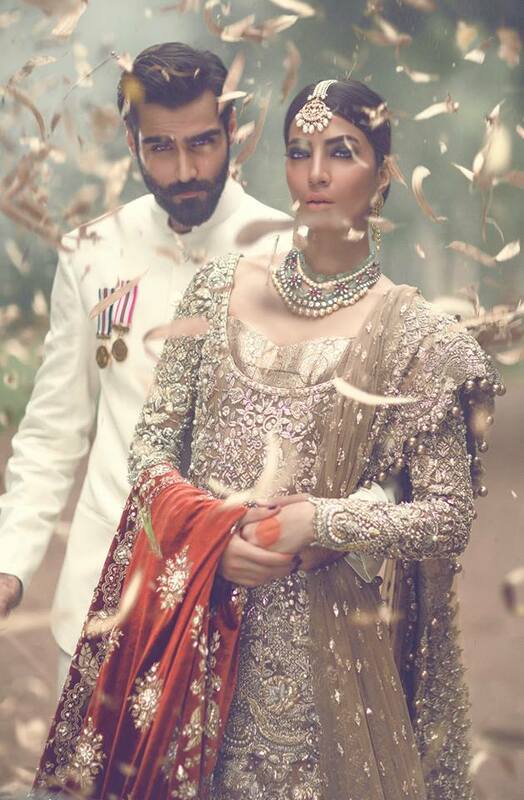 In Pakistan, there is a whole series of brands and designer who bring out best of their couture bridal collection every year. 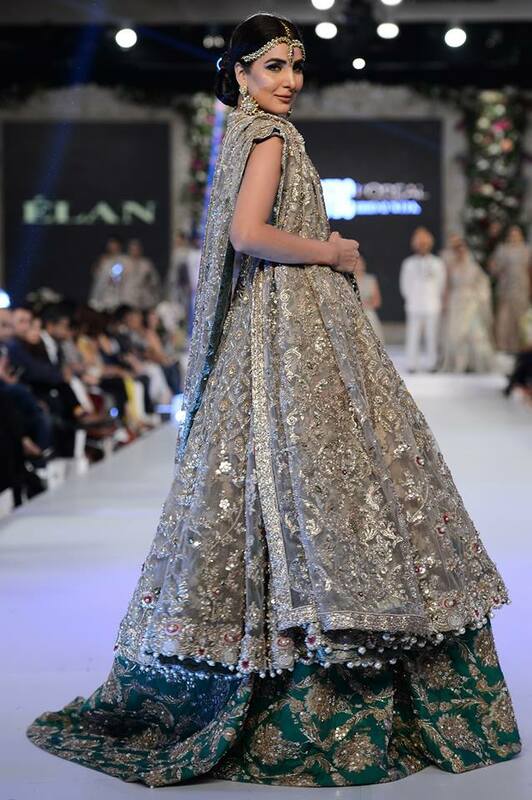 Elan also stepped in to bring out a wide range of vibrant and stunning bridal dresses this year. 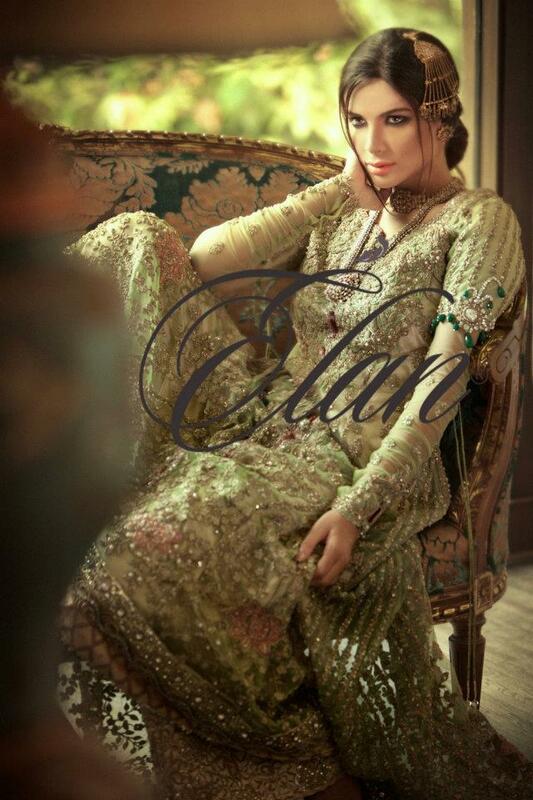 We will share the latest collection of Elan Bridal Dresses Gowns! 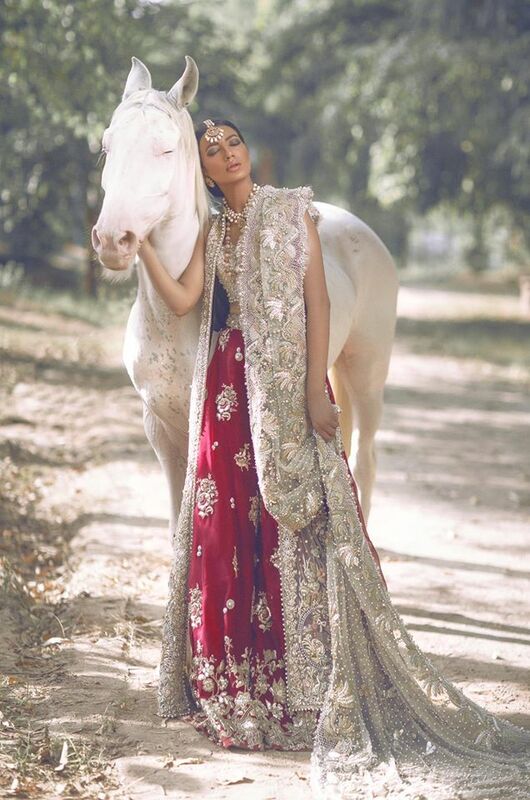 Embrace yourself with the bright and exceptionally beautiful series of bridal dresses by Elan. 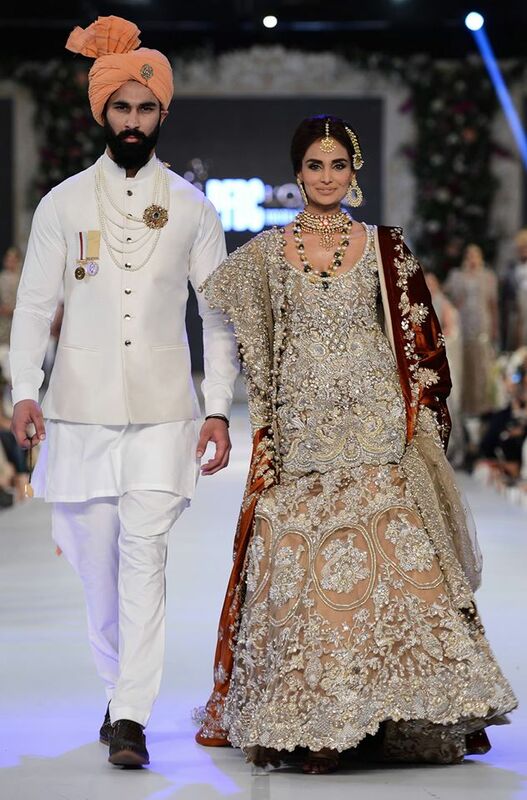 Gear up the level of style and glamour on your wedding. 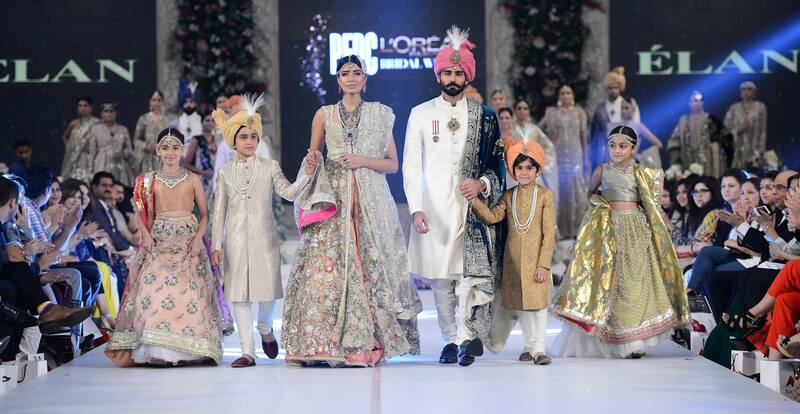 Elan, a fashion brand that made its name on international platforms, has now shown great success in Pakistan due to its fantastic touch of creativity and style in eastern wardrobes. 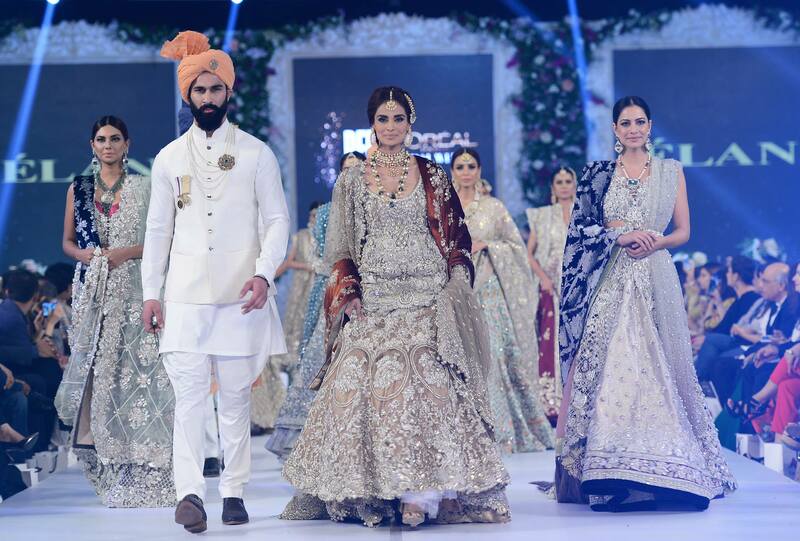 The latest bridal collection by Elan emerged on the ramp at the L’Oreal Paris bridal couture week. 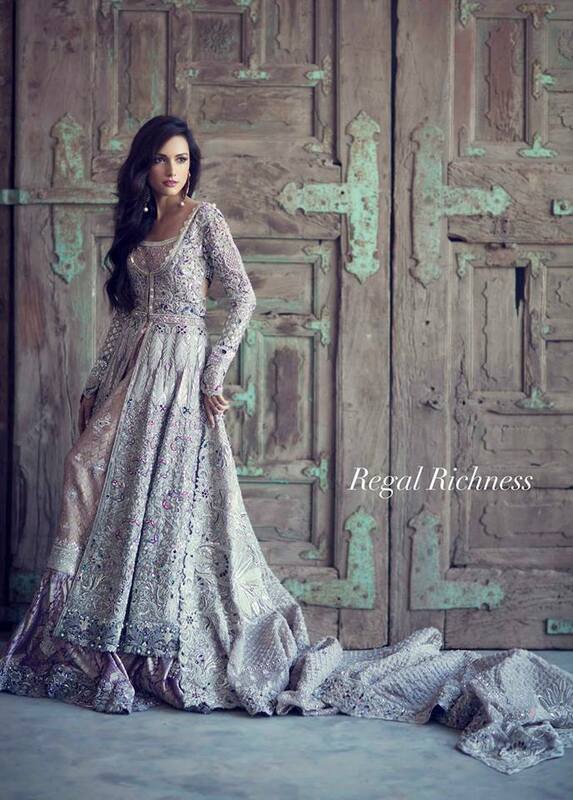 This Latest Elan Bridal Dresses Gowns seems like an epitome of style and elegance. 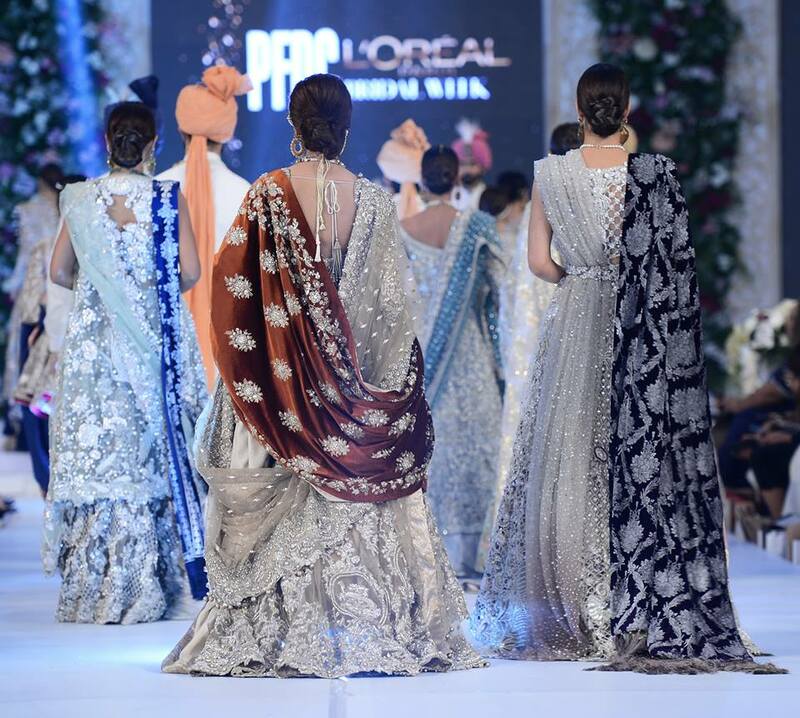 The whole collection is full of soft but ravishing hues. 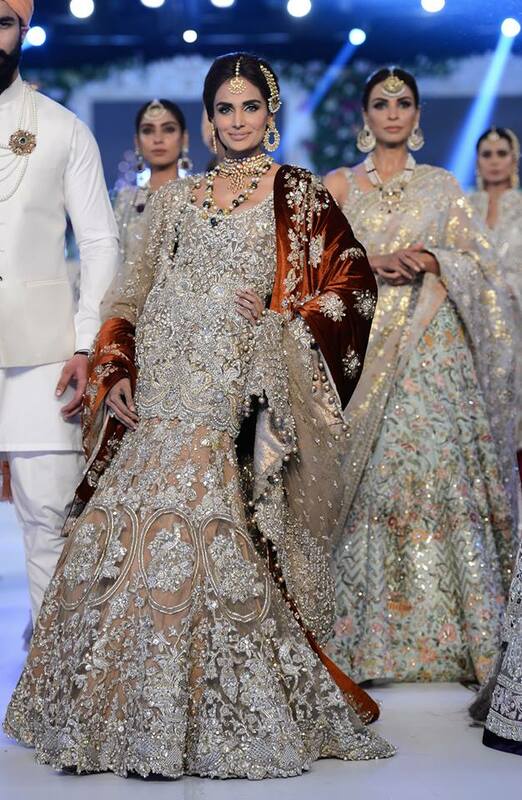 The whole collection comprises of shades of white, beige, silver, gold and ivory. 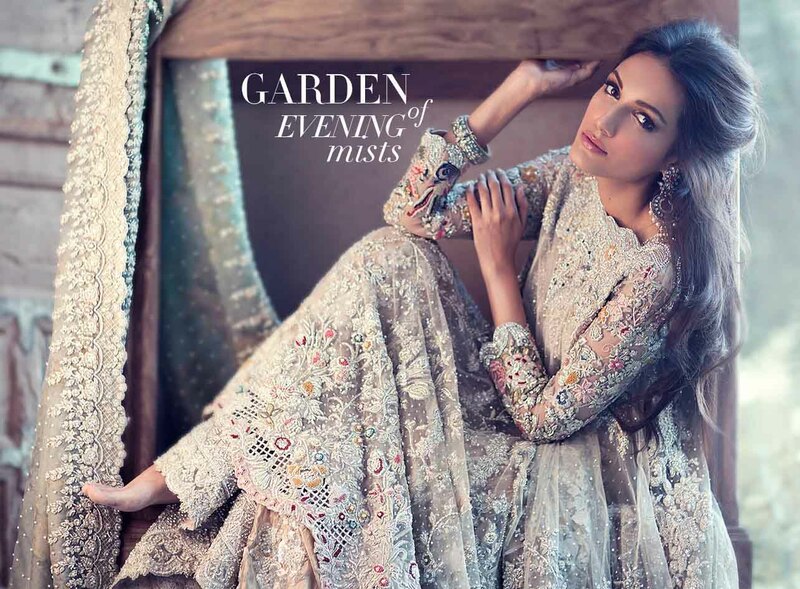 Where the whole dress and its fabric is kept full of fine embroidery work including cutwork, pearls work, zari work with the touches of dapka. 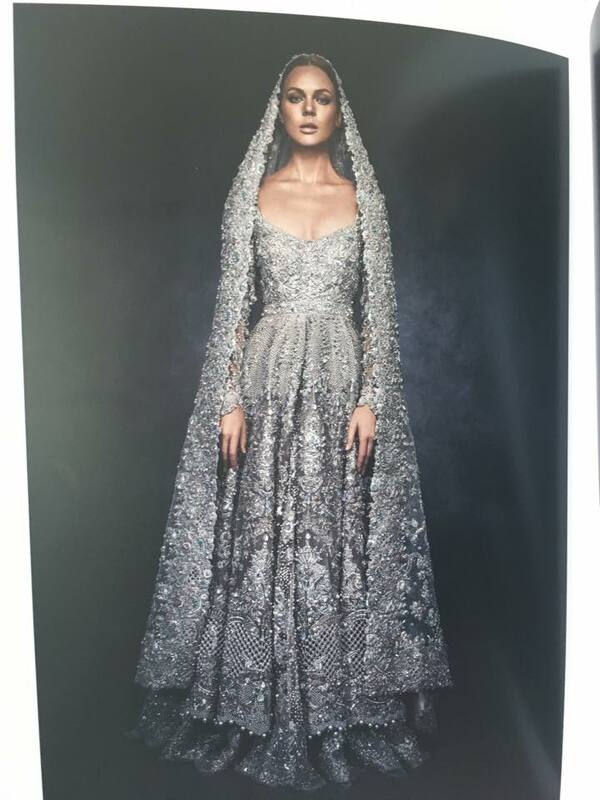 The fabric shines so brightly that any bride who would is done into it will look ravishing, most appealing and most prominent. 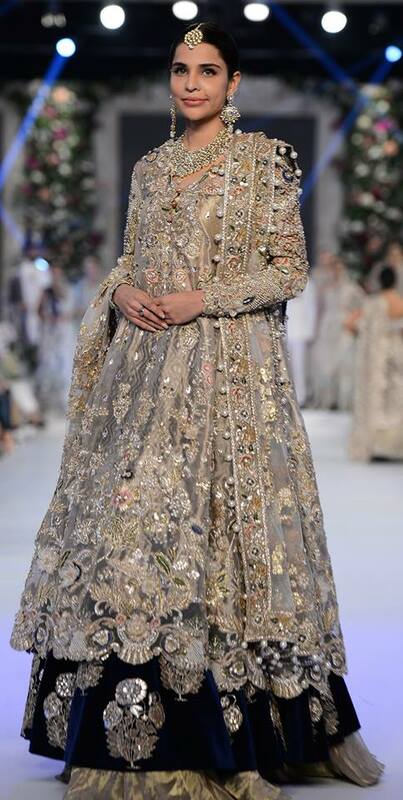 Heavy Dupatta with full of embroidery work complements the dress so well. 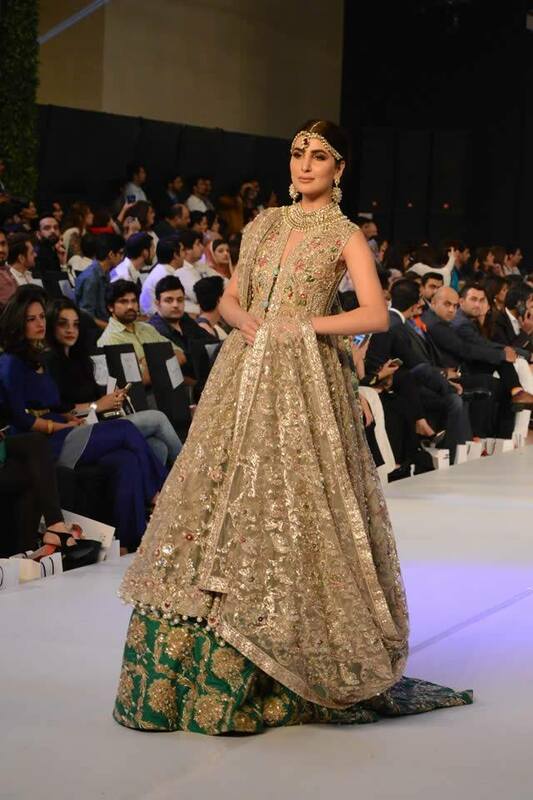 The dupatta of these bridal dresses is kept in the same shades as those of the dress instead of keeping a contrast. 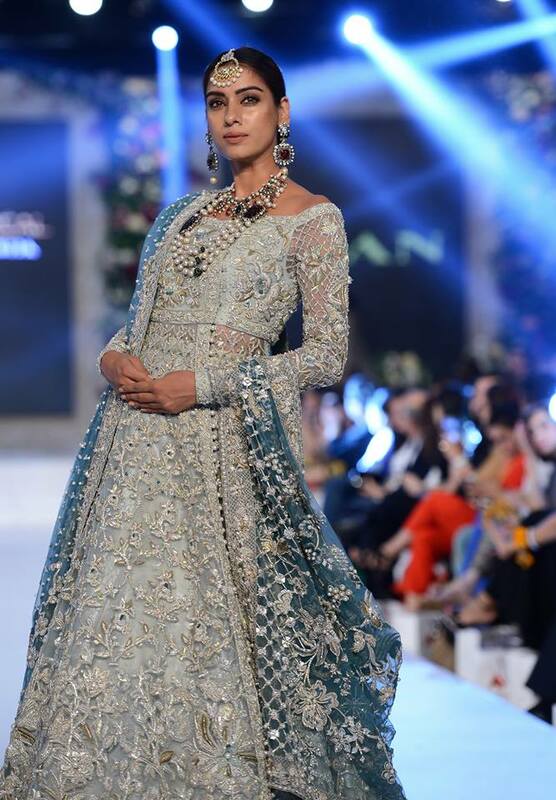 Touches of contrasting hues can be seen in few of the dresses. 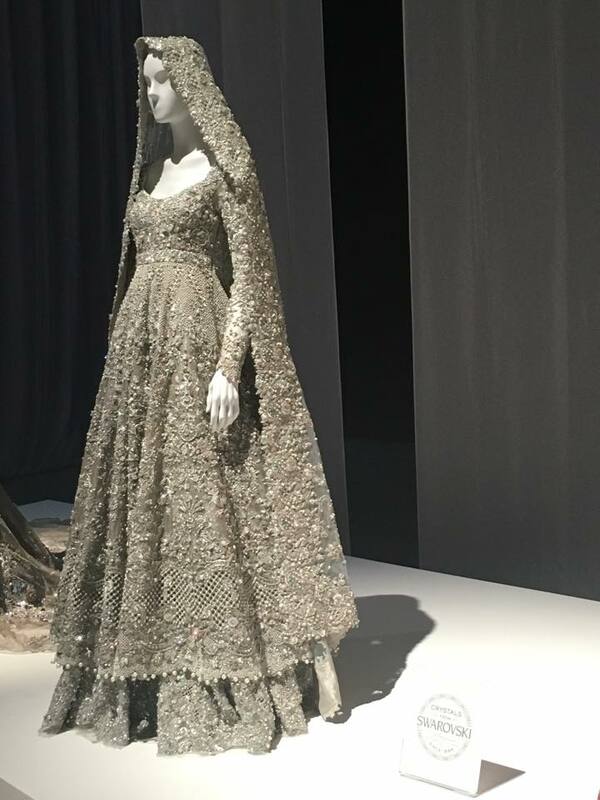 Shirts of these wedding dresses are kept either long or short with long jackets. 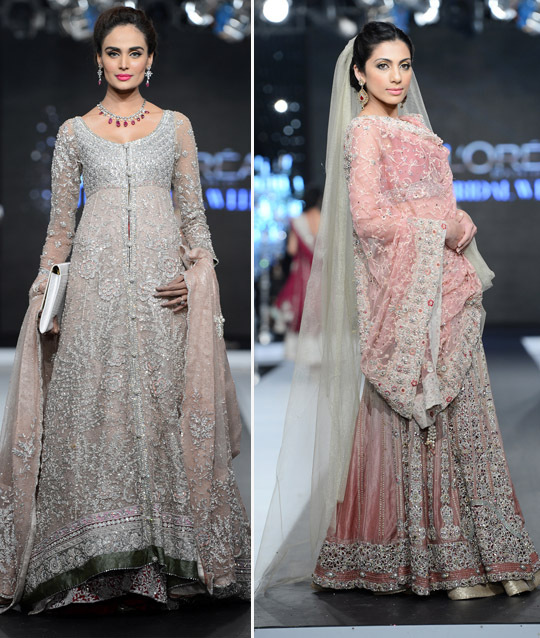 The light soft hues give these gowns a western and a delightful magical touch too. 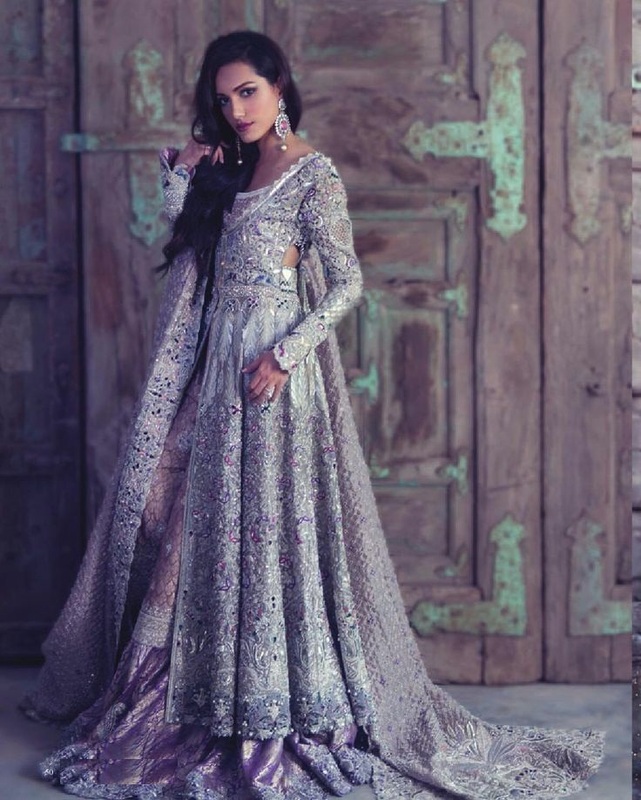 The lehengas are kept long with huge volume. 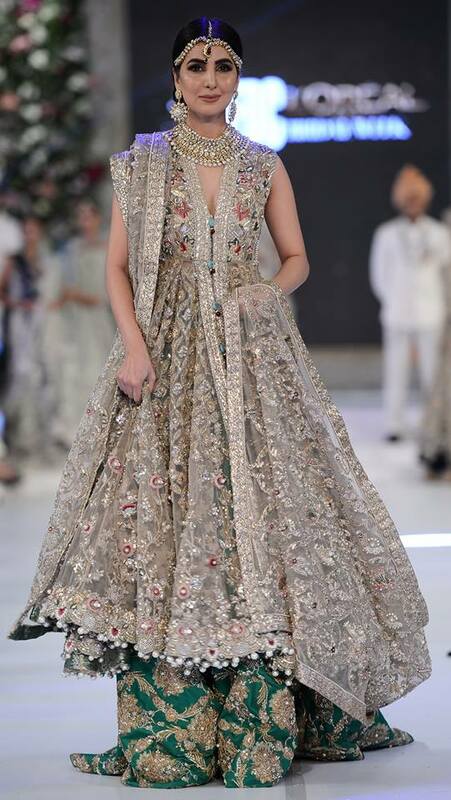 To give volume to each lehenga, Elan carried out great research for selecting the fabric and the material. 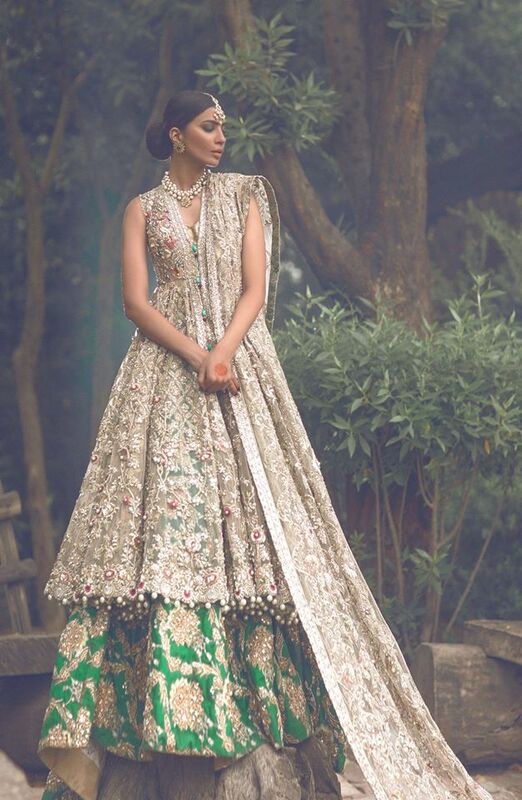 Layers of fabrics are used in lehenga’s to create large volume and to add flare to it. Some gowns carry various shades of red, green and black for lehenga’s and gowns that make them look even more attractive and alluring. 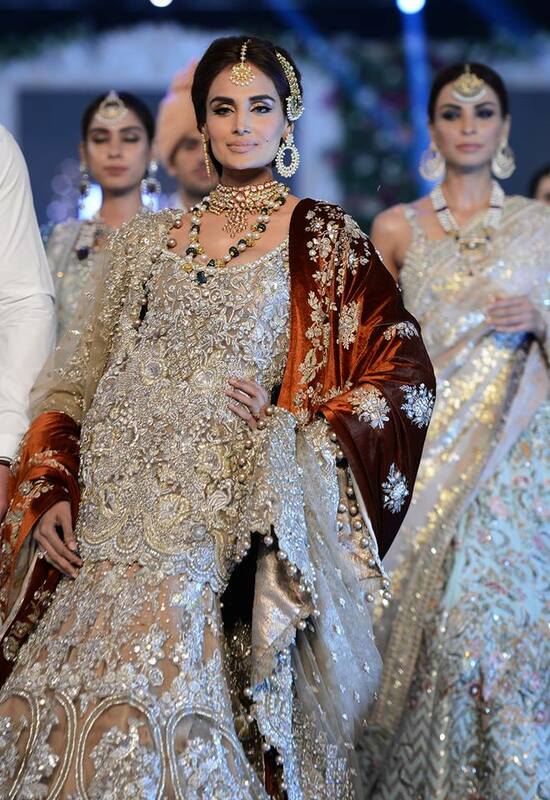 These dresses can be carried with light jewelry as they are already well embellished with loads of beautiful and shiny cutwork. 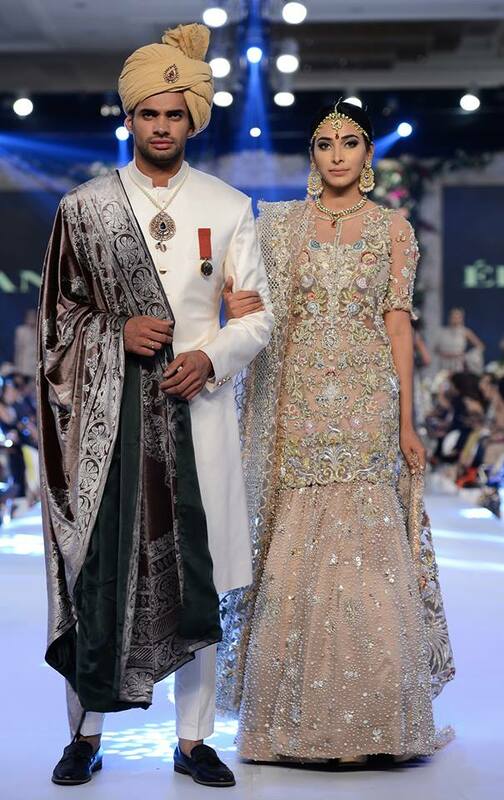 Designed both for the wedding and the walima ceremonies. For those who would like to keep it red and bold can carry the contrasting series of a collection in red whereas for those who like to keep it dull and soft can carry white and other variants of this color. 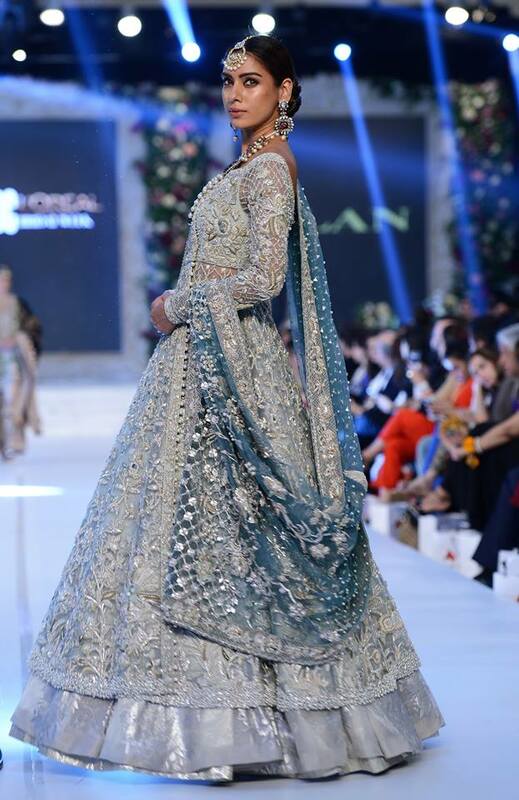 In a nutshell, Elan bridal couture for this year is going to excite your wedding season with its series of beautifully embellished wedding outfits. 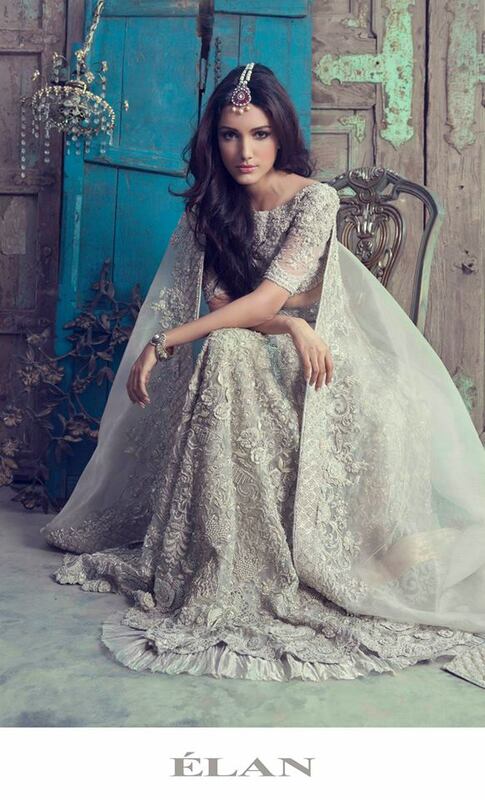 Have a look on the Elan Bridal Dresses Gowns designs posted below.